On Saturday, we spent the afternoon working in the chicken coop. I cleaned it out, added the big set of nest boxes, and used the old bedding to plant grass in the old run. 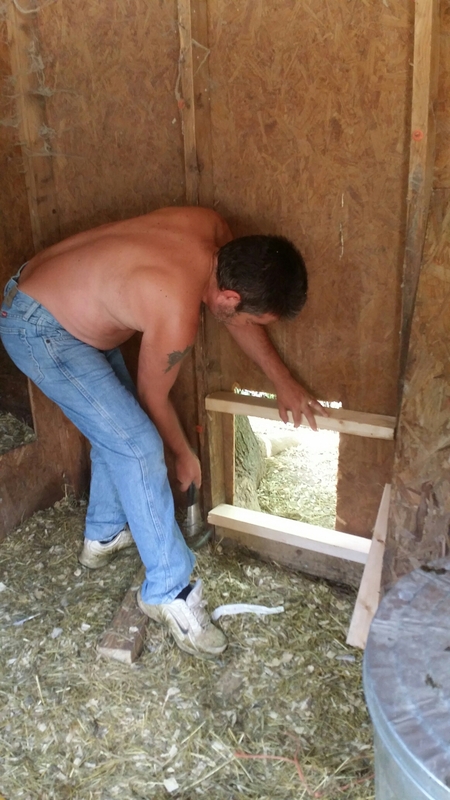 Ted worked on building a sliding door to go out to the new run. 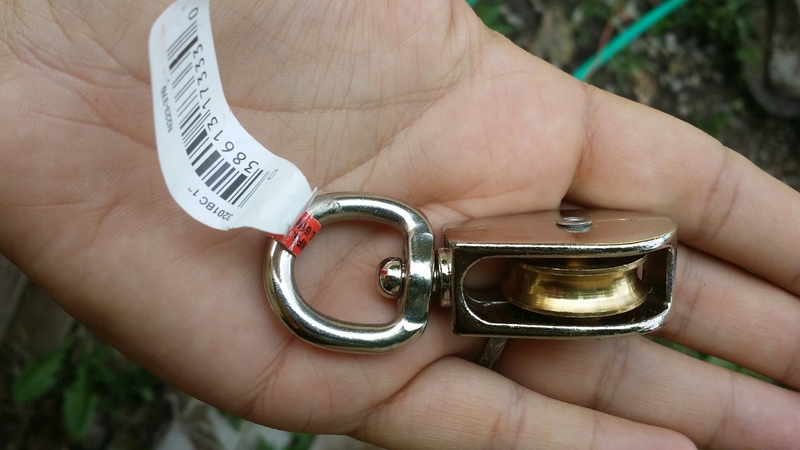 It’s on a pulley system and can be raised and lowered from outside (so no more having my feet run over by little chicken feet – I will not lie; that is the creepiest feeling ever when they do that!!!). It’s an awesome addition to the coop! 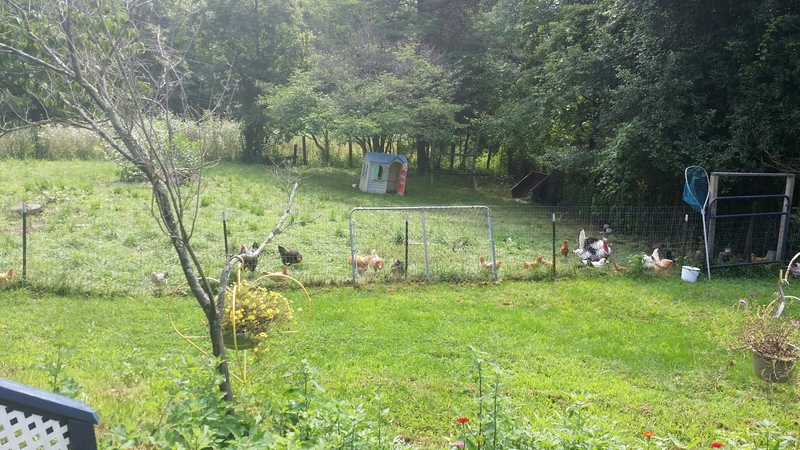 The chickens and turkeys love all the freedom they have now!!! Egg production will be going up shortly…once molting has ended.